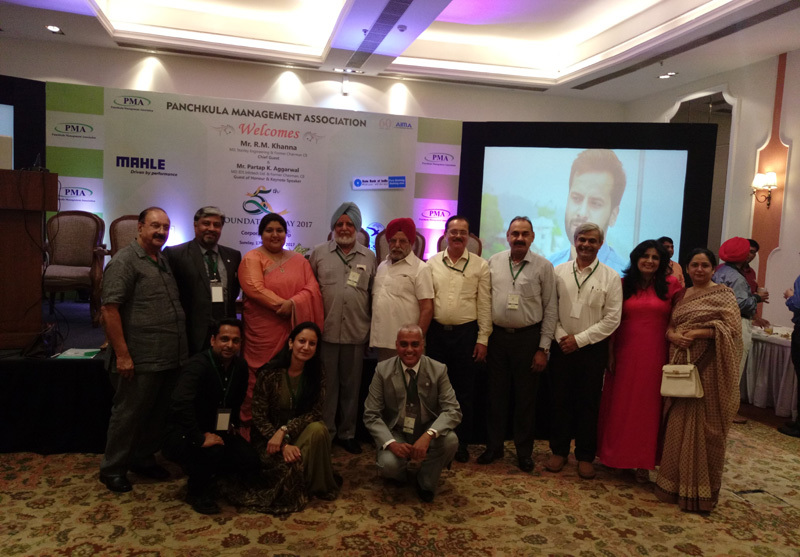 CMA members participated in the 5th Foundation Day celebrations of Panchkula Management Association (PMA) on September 17, 2017 at Hotel Bella Vista, Panchkula. The theme of the foundation day was ‘Corporate Leadership” and it witnessed the release of the souvenir highlighting various activities of the association. Congratulating the members of PMA on their achievements, the chief guest on the occasion, Mr. R M Khanna, CMD Stanley Engineering said, “Leadership is like the weather – everyone talks about it, but no one does anything about it. People seem to accept leadership, good or bad, as a cosmic fate that simply happens. If we suffer from inadequate leadership it is perceived as bad fortune and unavoidable”. He quoted studies that show 50% of all businesses fail due to bad leadership. Effective leadership can increase net margins by 20% – 30%. We have seen so many good organisations partially collapse or go completely out of business because of a system, toxic work environment polluted by a manager’s so called style.